Waste management has become an increasingly complex and heavily regulated business function – a job for an expert supplier of services able to offer customers as sophisticated an understanding of their specialism as the supplier of advanced machinery, computer systems or laboratory-designed chemicals. CSG understands this attitude and has set out to professionalise the supply of waste management services at a time when the company’s customers are most under pressure to devote management time and resources to this aspect of business and most in need of both practical assistance and expert guidance. The company has risen to this challenge by establishing a policy in which it seeks to work with its customers as a ‘green partner’ – offering the full programme of resources and skills now required to manage their waste in a time of growing corporate responsibility and increasingly stringent legislation in favour of the environment. This is the essence of our customer care policy. CSG is also influenced by its understanding of the competitive nature of the sector in which it operates and the way in which first class customer service is essential for business success. That’s why the company places a high priority on the creation of excellent, uncompromising customer relations, permeating throughout the entire CSG workforce and personally overseen by senior management. So how are we performing? We asked our customers to tell us via an on-line survey which gave them the opportunity of rating our service on a scale from ‘very satisfied’ to so unhappy that they were considering changing their supplier. A total of 108 customers responded, the majority of them (93%) using CSG to provide environmental and waste disposal services. A resounding 86% said they were either ‘satisfied’ or ‘very satisfied’ with CSG’s performance, and only 9% reported being only ‘fairly satisfied’. Respondents were particularly pleased with CSG’s customer service (69 responses), quality of work (45) and price (44). 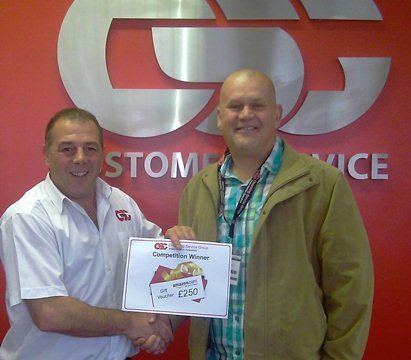 There were also high levels of satisfaction with the performance of CSG staff who directly deal with customers. Technical Sales Managers and Customer Service Executives were praised for their friendliness, speed of response, communication, credibility – and appearance! Neil Richards, Managing Director of CSG’s Treatment and Recovery Division, said the survey results were excellent but would not lead to complacency.